The symbolic deposit of the ratification instrument of the International Labour Organization’s (ILO) Protocol of 2014 (P-29) to the Forced Labour Convention by the government took place yesterday at the centenary celebrations of ILO. The event was graced by the President, Maithripala Sirisena and the Minister of Labour and Trade Union Relations, Ravindra Samaraweera. The ILO’s Forced Labour protocol (P-29) obliges states to criminalise and prosecute work that is done involuntarily and under coercion, and to take effective measures for its prevention. The countries which ratify P-29 are also required to provide victims with protection and access to remedies, including compensation. 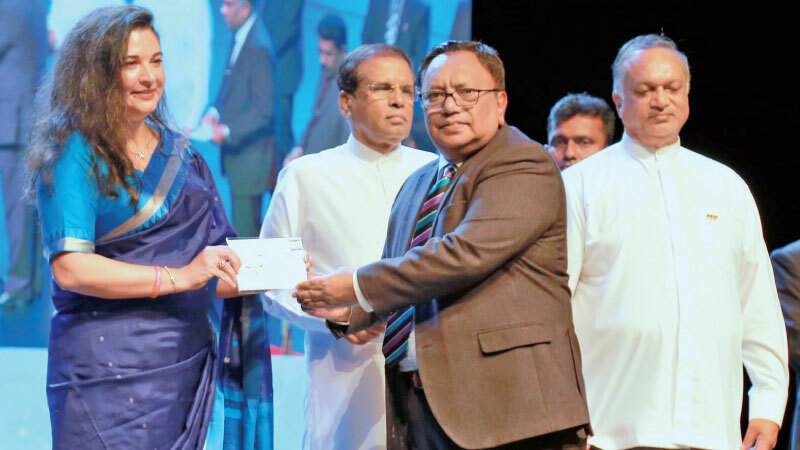 “Sri Lanka is the first country from South Asia and the only second country of Asia – Pacific region to ratify this convention,” said ILO country director for Sri Lanka and Maldives, Simrin Sing. Joining in 1948, right after the independence, lots of work has been done in Sri Lanka when it comes to the world of work. The progress spans from law, policy and practice. Topics including disability inclusion, gender equality promotion, creation of jobs for Small and Medium Enterprises (SMEs), labour migration and hired labour elimination were covered and given assistance by the ILO to the budding entrepreneurs and businesses in Sri Lanka. “Thus, Sri Lanka’s journey with the ILO has been a rich one with a history of 71 years,” she said. She further said that a significant contribution had been given by the ILO to set up institutions such as National Institute of Business Management and the Ceylon Hotel School in the country. A special issue of the ‘Sri Lanka Labour Gazette’ was also launched at the event as well as a postal stamp and a first day cover to mark the ILO’s 100th anniversary. The Labour Gazette is the Ministry of Labour’s quarterly publication on labour relations and labour statistics of the country. Sri Lanka is one of the 24 countries from ILO’s 187 member states to be selected for a live 24-hour ‘Global tour’ to mark the centenary celebrations worldwide. The ILO which is the United Nation’s oldest organization marked its century with tribute to social justice and decent work circling the entire world. Live streamed internationally, the 24-hour global tour began in Suva, Fiji and passed through Colombo, New Delhi, Beirut, Cairo and other cities. This shows the depth and diversity of ILO’s work in 24 hours. Since 2006, Sri Lanka has designed and executed three Decent Work Country Programmes (DWCPs). The ongoing fourth Decent Work Country Programmes (2018-2022) has three county priorities, and these are the creation of sustainable, inclusive and decent employment; better governance of the labour market d rights at work for all. In March, the ILO celebrated with communities in the North, and will mark its centennial with activities around the island throughout 2019.